Luca Badoer signed 2002 Official Ferrari Publicity Card. 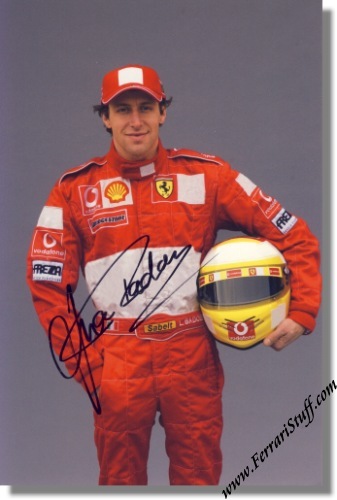 This is an officially Ferrari issued publicity card of test driver, Luca Badoer. Even though it is an official issue, it does NOT carry a print number. The card has been personally signed by Luca with a blue marker.